To view the details of an Customer on your system, go to http://demo.bookinglive.com/customers and then select an Customer. Introduced in v3.4, Customers can have freeform tags added to them for administrative purposes. This can be used to track certain Customers, or to record actions taken against them (for administrative purposes). To add a new tag to an Customer, you simply enter the tage name and hit enter. This then applies the tag against the Customer. Once a tag has been added to an Customer, it can be used again on other Customers by entering the tag name into the box, and clicking on the suggestions provided. 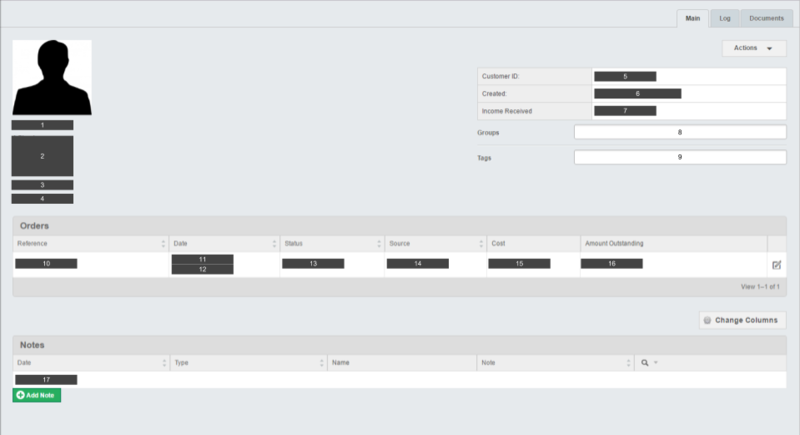 Tags can be used in the Filters on the Customers screen. In all cases, Admin Notes can only be seen by people with access to the Admin section of the booking system. This action allows you to edit the details of the Customer, including adding a photo to their profile. This action will start an Admin Order for this customer, with their details automatically being provided at the relevant stages. This action will invalidate the customer's current password, and send them a link via e-mail for them to set a new password, if required.